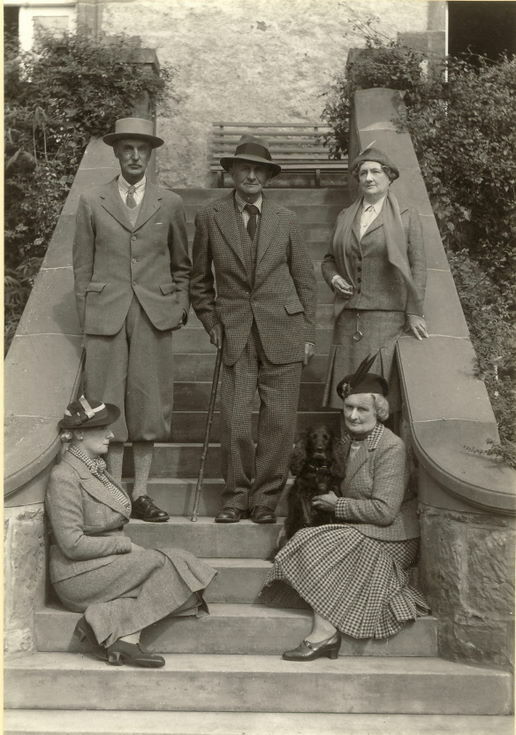 A monochrome photograph of members of the Sykes family, on the steps at the rear of the Castle, Dornoch; taken when they were the occupiers. Standing from left to right: ? Mrs. Sykes' brother, Mr. Sykes, Mrs. Sykes. Seated left: Mrs. Sykes' sister-in-law? and with the dog Miss Mould, Mrs Sykes' sister.